Who needs a postcard when you have this shirt? 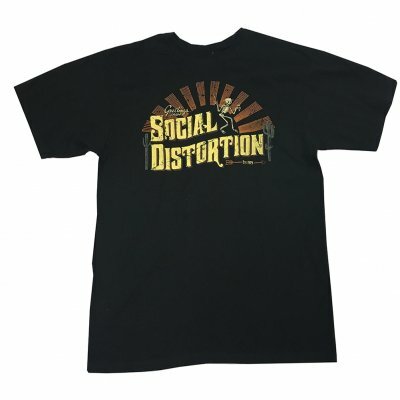 A black Social Distortion shirt with a screen printed ‘rising sun’ and Skelly design. Comfortable fitting black shirt with a multicolored screen print.